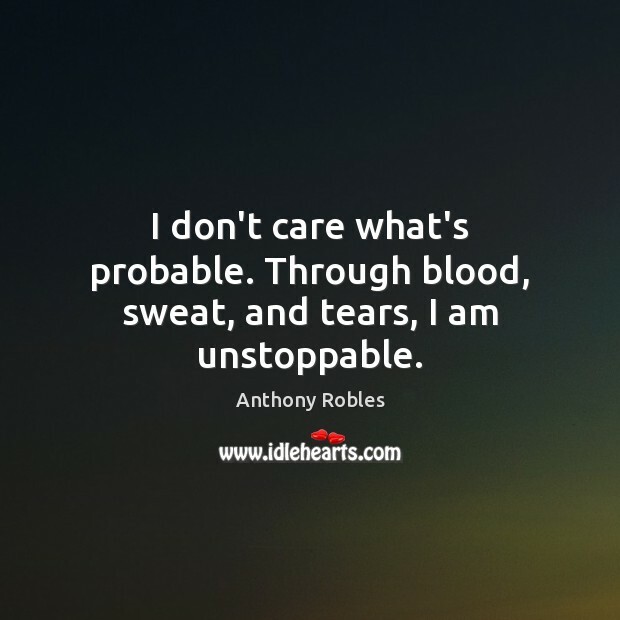 Enjoy the best inspirational, motivational, positive, funny and famous quotes by Anthony Robles. Use words and picture quotations to push forward and inspire you keep going in life! I don't care what's probable. Through blood, sweat, and tears, I am unstoppable. Every soul who comes to earth with a leg or two at birth must wrestle his opponents knowing its not what is, but what can be that measures worth. Make it hard, just make it possible and through pain, I wont complain. My spirit is unconquerable. Fearless I will face each foe for I know I am capable. 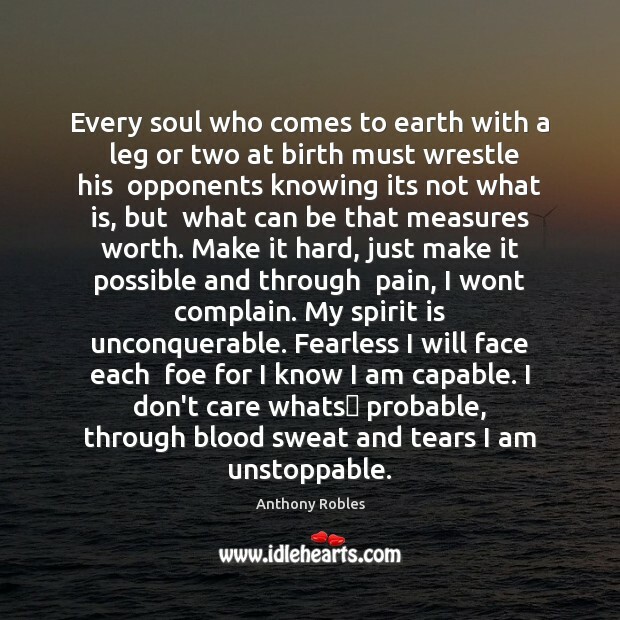 I don't care whats﻿ probable, through blood sweat and tears I am unstoppable. We wrestle with our own opponents on a daily basis. These challengers can come in numerous forms whether it be a physical challenge, emotional, or even relational issues that can overtake us. 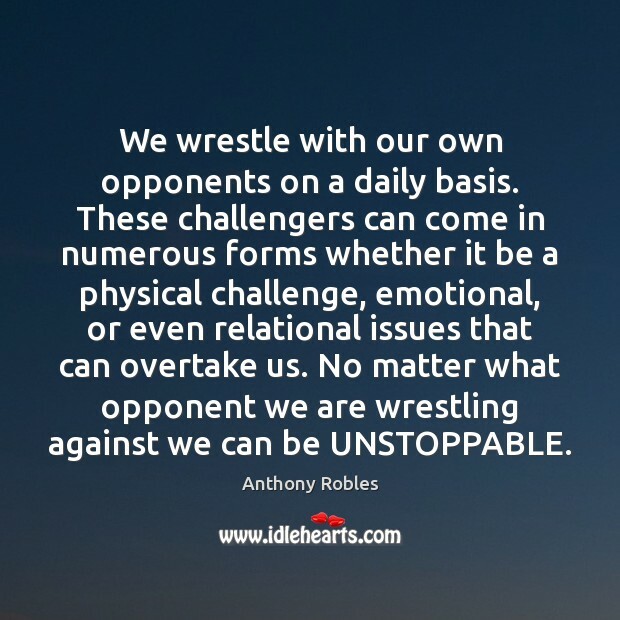 No matter what opponent we are wrestling against we can be UNSTOPPABLE.